Thanks for everyone who made today a great success. Results for the children’s swim run will be posted tomorrow. Provisional results for the other events can be found here. Both will take place in the reception area of Horwich Leisure Centre. In order to make race day a little less hectic we would encourage you to try and register on the Friday evening. If you are a team only one person needs to register the team. On the Friday we will have race crew around to answer any questions that you may have. Full race day brief will be emailed to everyone early next week including details of start times. Entries are now open for the 2018 Club Challenge Triathlon. 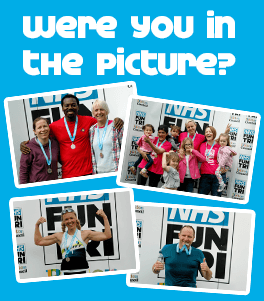 In previous years the festival triathlon has only been open to NHS and Bolton Council staff with the emphasis being on encouraging new people to the sport. For 2018 in conjunction with Lostock AC we are adding a seperate race aimed at the more competative club athlete. This event is open to individuals of affiliated clubs and prizes will be awarded to both individuals and top male, female and mixed teams. In order to help this years participants become better swimmers we are launching new swim sessions in Bolton. Session two: 6.45 – 7.30pm aimed at the more experienced swimmer. The early bird discount for solo competitors is closing midnight February 28th… We have sold over 50% of the entries for this years event so…. Pictures from the day can now be found by following the link on the home page “were you in the picture” These are free to download.